A hand-propelled ultra bright light up spinning disc for performing tricks and stunts. 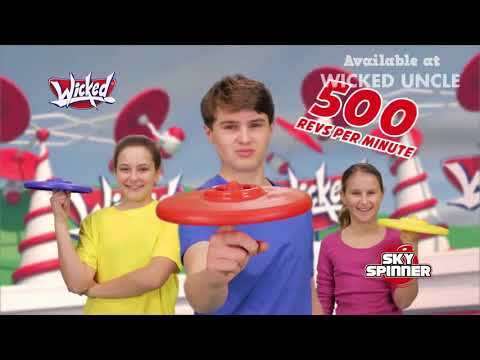 Unleash an awesome array of tricks and stunts with this easy to use spinner. With a perfectly balanced, weighted rim and a high speed ball bearing hub, you can easily spin up to 5 minutes and crank up to an incredible 500 revs per minute. There are three different light settings so your spinner can create different glow patterns in the dark. Spin it, throw it, slam it - show off your skills!